Silica (SiO2) is the name given to a group of minerals composed solely of silicon and oxygen. Found most commonly in the crystalline state, it also occurs in an amorphous form resulting from weathering or plankton fossilization. For industrial and manufacturing applications, deposits of silica-yielding products of at least 95% SiO2 are preferred. Silica is hard and chemically inert and has a high melting point, attributable to the strength of the bonds between the atoms. These are prized qualities in applications like foundries and filtration systems. Industrial sand’s strength, silicon dioxide (SiO2) contribution, and non-reactive properties make it an indispensable ingredient in the production of thousands of everyday products. Glassmaking: Silica sand is the primary component of all types of standard and specialty glass. It provides the essential SiO2 component of glass formulation, and its chemical purity is the primary determinant of colour, clarity, and strength. Industrial sand is used to produce flat glass for building and automotive use, container glass for foods and beverages, and tableware. In its pulverized form, ground silica is required for production of fibreglass insulation and reinforcing glass fibers. Specialty glass applications include test tubes and other scientific tools, incandescent and fluorescent lamps, and television and computer CRT monitors. Metal Casting: Industrial sand is an essential part of the ferrous and non-ferrous foundry industry. Metal parts ranging from engine blocks to sink faucets are cast in a sand and clay mold to produce the external shape, with a resin bonded core creating the desired internal shape. Silica’s high fusion point (1760°C) and low rate of thermal expansion produce stable cores and molds compatible with all pouring temperatures and alloy systems. Its chemical purity also helps prevent interaction with catalysts or curing rate of chemical binders. Following the casting process, core sand can be thermally or mechanically recycled to produce new cores or molds. Metal Production: Industrial sand plays a critical role in the production of a wide variety of ferrous and non-ferrous metals. In metal production, silica sand operates as a flux to lower the melting point and viscosity of the slags to make them more reactive and efficient. Lump silica is used either alone or in conjunction with lime to achieve the desired base/acid ratio required for purification. These base metals can be further refined and modified with other ingredients to achieve specific properties such as high strength, corrosion resistance, or electrical conductivity. Ferroalloys are essential to specialty steel production, and industrial sand is used by the steel and foundry industries for de-oxidation and grain refinement. Chemical Production: Silicon-based chemicals are the foundation of thousands of everyday applications ranging from food processing to soap and dye production. In this case, SiO2 is reduced to silicon metal by coke in an arc furnace, to produce the Si precursor of other chemical processes. Industrial sand is the main component in chemicals such as sodium silicate, silicon tetrachloride, and silicon gels. These chemicals are used to produce household and industrial cleaners, to manufacture fiber optics, and to remove impurities from cooking oil and brewed beverages. Construction: Industrial sand is the primary structural component in a wide variety of building and construction products. 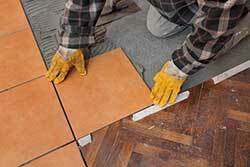 Whole grain silica is put to use in flooring compounds, mortars, specialty cements, stucco, roofing shingles, skid resistant surfaces, and asphalt mixtures to provide packing density and flexural strength without adversely affecting the chemical properties of the binding system. Ground silica performs as a functional extender to add durability and anti-corrosion and weathering properties in epoxy-based compounds, sealants, and caulks. Paint and Coatings: Paint formulators select micron-sized industrial sands to improve the appearance and durability of architectural and industrial paint and coatings. High purity silica contributes critical performance properties such as brightness and reflectance, colour consistency, and oil absorption. In architectural paints, silica fillers improve tint retention, durability, and resistance to dirt, mildew, cracking, and weathering. Low oil absorption allows increased pigment loading for improved finish colour. In marine and maintenance coatings, the durability of silica imparts excellent abrasion and corrosion resistance. Ceramics & Refractories: Ground silica is an essential component of the glaze and body formulations of all types of ceramic products, including tableware, sanitary ware, and floor and wall tile. 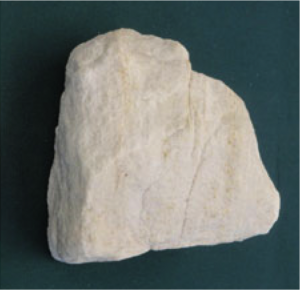 In the ceramic body, silica is the skeletal structure upon which clays and flux components attach. The SiO2 contribution is used to modify thermal expansion, regulate drying and shrinkage, and improve structural integrity and appearance. Silica products are also used as the primary aggregate in both shape and monolithic type refractories to provide high temperature resistance to acidic attack in industrial furnaces. Filtration and Water Production: Industrial sand is used in the filtration of drinking water, the processing of wastewater, and the production of water from wells. Uniform grain shapes and grain size distributions produce efficient filtration bed operation in removal of contaminants in both potable water and wastewater. Chemically inert, silica will not degrade or react when it comes in contact with acids, contaminants, volatile organics, or solvents. 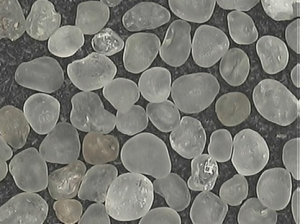 Silica gravel is used as packing material in deep-water wells to increase yield from the aquifer by expanding the permeable zone around the well screen and preventing the infiltration of fine particles from the formation. Recreational Products: Industrial sand even finds its way into sports and recreation. Silica sand is used for golf course bunkers and greens as well as the construction of natural or synthetic athletic fields. In golf and sports turf applications, silica sand is the structural component of an inert, uncontaminated growing media. Silica sand is also used to repair greens and to facilitate everyday maintenance like root aeration and fertilization. The natural grain shape and controlled particle size distribution of silica provides the required permeability and compaction properties for drainage, healthy plant growth, and stability. Industrial sand is pumped down holes in deep well applications to prop open rock fissures and increase the flow rate of natural gas or oil. Oil and Gas Recovery: Known commonly as proppant, or “frac sand,” industrial sand is pumped down holes in deep well applications to prop open rock fissures and increase the flow rate of natural gas or oil. In this specialized application, round, whole grain deposits are used to maximize permeability and prevent formation cuttings from entering the well bore. Silica’s hardness and its overall structural integrity combine to deliver the required crush resistance of the high pressures present in wells up to 2,450 metres deep. Its chemical purity is required to resist chemical attack in corrosive environments. Fracking (fracing, hydraulic fracturing, or hydrofracking) is the most efficient method used to access oil-bearing shales and limestones for the purpose of extracting oil and natural gas. Fracking is an unconventional extraction method in which hydrocarbon (oil/gas) is released from rock. In the fracking process, a vertical well is drilled for more than a kilometre and then continues horizontally once it reaches the shale layer (source rock oil or gas bearing formation). The well is drilled laterally for about 3,000 to 5,000 feet. This creates a large enough surface area for oil or gas to flow in economic quantities. Cement is then pumped through the hole to surround the casing. Next, the plug-and-perf method creates multiple hydraulic fractures in the horizontal well. Water, sand, and lubricant are then pumped into the well at a very high pressure. The high-pressure fluid creates additional smaller fractures or channels in the shale through which oil and natural gas reserves flow more easily. The pressure is released and the proppants (sand) are left lodged into the fractures, providing an efficient conduit for the movement of fluid from the reservoir to the wellbore, allowing an efficient escape for crude oil or natural gas flow. Most wells are able to produce for 20 to 30 years without the requirement of additional fracturing. Frac Sand (often called “silica” or “silica sand”): A naturally occurring silica sand used as a proppant to keep an induced hydraulic fracture open during the fracking process. Frac Sand Mineralogy: Frac sand must be greater than 99% quartz to be suitable for use as a proppant. Frac Sand Specifications: Roundness, highly spherical, high crush resistance, silicon dioxide content, and consistent size are all important factors relating to high quality frac sand.To have high fluid porosity and permeability, frac sand must be well sorted to be effective when applied. Depending on the application, different frac sand mesh size ranges are required. 20/40 are typically used in hydraulic fracturing processes targeting oil- and liquids-rich gas recovery (i.e., larger fluid molecules) whereas finer sand grains (such as 40/70 and higher meshes) are typically used primarily in dry gas applications (i.e., smaller fluid molecules). Alternative Proppants: Other alternatives to silica sand exist, including ceramic beads and resin-coated silica, but they are more costly to produce.